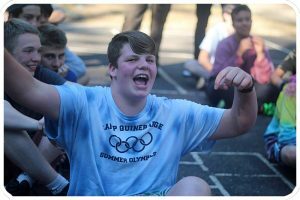 For over 80 summers campers have come back Camp Quinebarge every summer to reunite with their friends and to have the best experience of their lives. Quinebarge prides themselves in providing a safe and fun environment for kids to try new things and to enjoy their favorite activities. 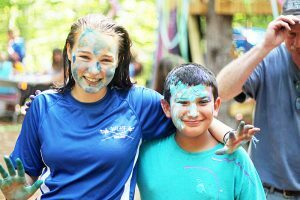 Campers say how much they love their 100% customized schedules. 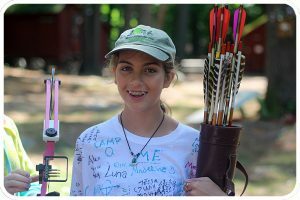 Our campers can spend the morning on our ropes course then by the afternoon enjoying a fun archery lesson. Quinebarge’s program is set up so that the campers are having fun all day long. Adventure Program at Camp Quinebarge is one of the best facilities Quinebarge offers. We provide a low ropes course, high ropes course, zipline and climbing wall. Campers progress through the courses over several days learning teamwork, communication, cooperation and trust. Our staff are specially trained to ensure that our campers completely these challenges safely.